A school in County Durham has postponed a planned visit from a teacher from Ghana, after parents voiced concerns about the Ebola virus, despite the country not having any cases. The teacher was due to visit Howden-le-Wear Primary School, near Crook, next Monday. 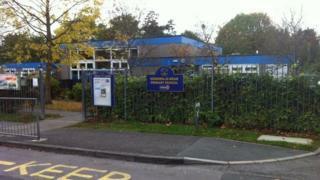 The school's head teacher said it had listened to "concerns raised by all sections of the school and community". Despite being advised the visit was safe, the school chose to postpone it. The trip was part of the British Council's Connecting Classrooms programme, which fosters links between schools across the world. The current outbreak of Ebola has mainly hit Liberia, Sierra Leone and Guinea, with a small number of cases recorded in Nigeria. Although Ghana is in the same region of West Africa, it does not border on any of those countries. The school said it sought advice from Public Health England, the Health Protection Agency, Durham County Council and the British Council over whether the visit posed a risk. It was advised there was no danger, but following a meeting earlier with the school's governing body and the British Council, it decided to postpone it. Parents gave a mixed reaction, with one saying "quite a few" people were worried about the teacher coming. Another said: "I wasn't concerned about it, because Ghana hasn't been affected." The school's head teacher, Christopher Baines, said: "The British Council Connecting Classroom visits have always been an exciting, positive and enriching experience. "To ensure that this remains the case the governing body has taken the decision this afternoon to postpone the visit until a later date. "We have listened carefully to concerns raised by all sections of the school and community and have balanced these with the expert advice we have been given."